Really can't go wrong with any of these suppliers. Cyndi! thanks so much for the reference. 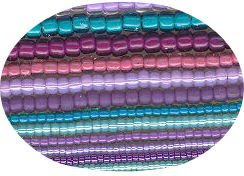 I just looked at WHIMBEADS online...never knew of them before!! Thanks again!!! Wow those dichroic are so beautiful...and pricey little things. Love Beki & Shawn over at Whimbeads...my favorite too. As always Cyndi - thank you for sharing! I wasn't familiar with whimbeads but checked out their site and liked it! Thanks again! I'm so lucky!! Whimbead is right in my neighborhood, Shawn is really nice, one of my favorite bead shops as well as for online shopping.